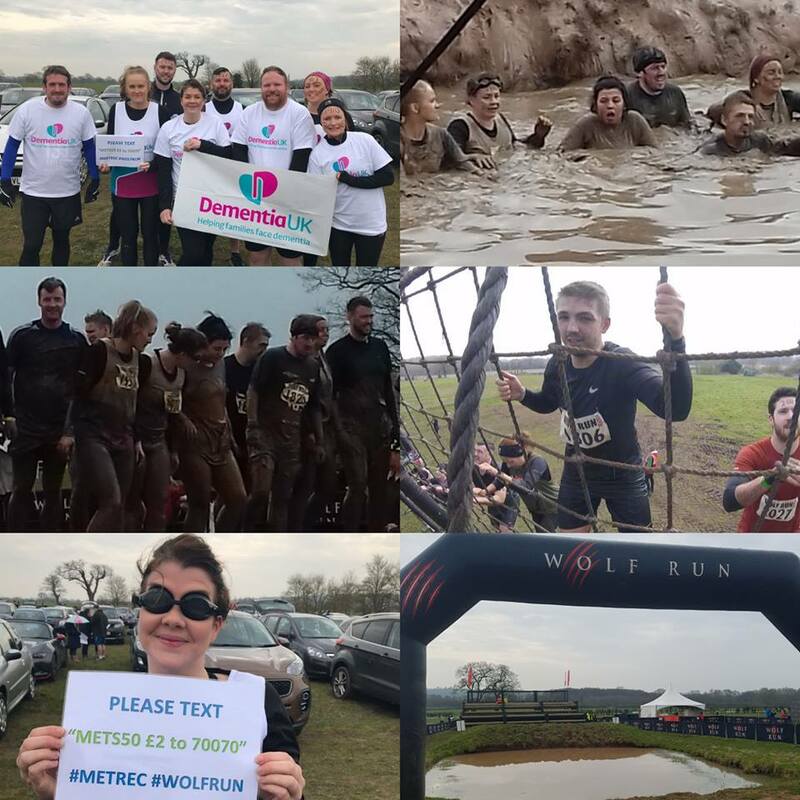 The MET Recruitment team are no stranger to a charity challenge and 2018 has been no different! 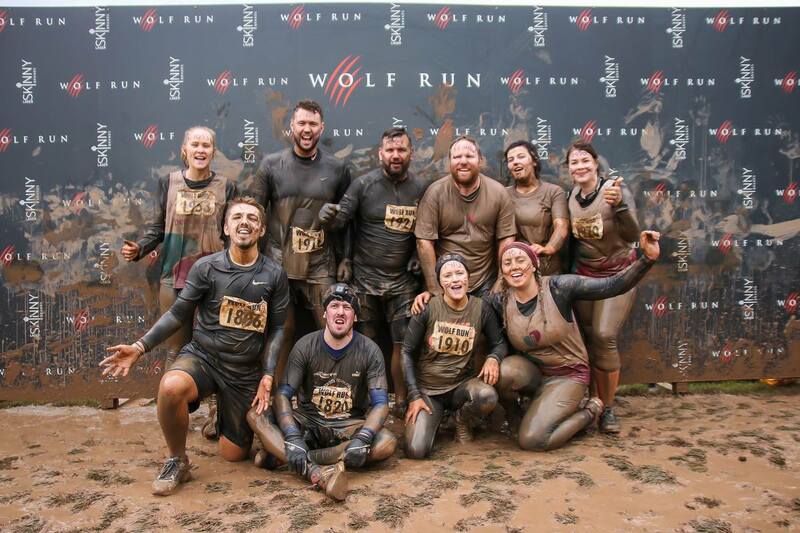 Our fundraising kicked off January this year ahead of us taking on the mighty Wolf Run back in April, which I’m proud to say we completed the 10k mud fest in just under 3 hours. The course was tough with physical obstacles along the way including a freezing cold lake swim that nearly took a handful of the team out! We clambered over high walls, tunneled through mud pits and fought our way through the rough forest terrain … as well as taking on the super slide! 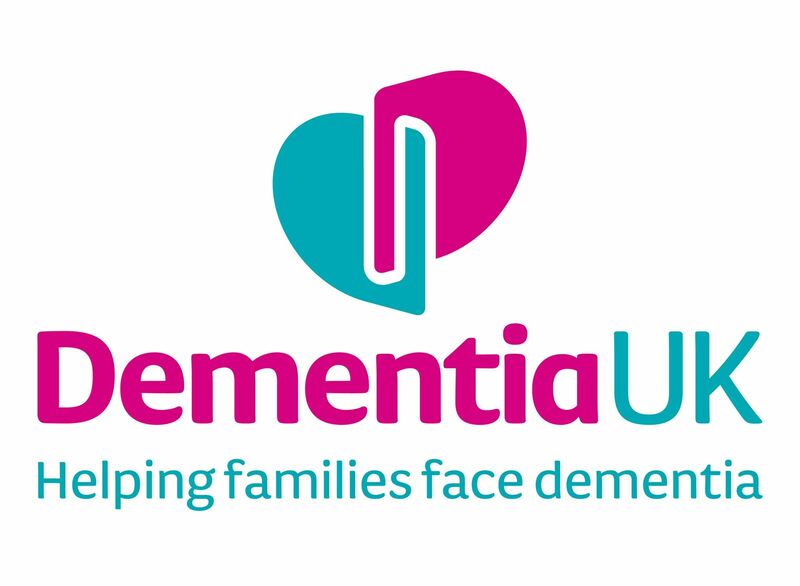 Our chosen Charity for this event was Dementia UK and we’re proud to have raised £622 just from the Wolf Run alone! 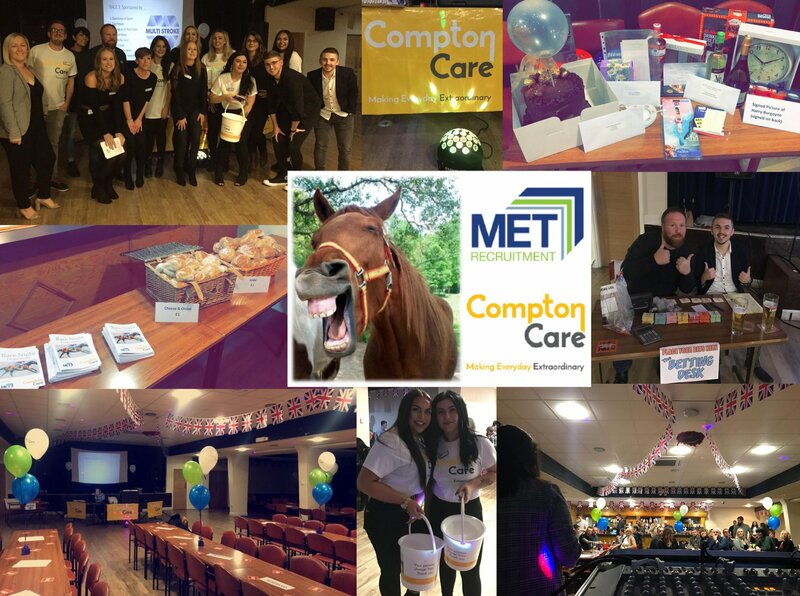 That’s not all we’ve done though, our Wolverhampton Branch chose Compton Hospice as their charity of the year and organised a hugely successful Race Night that took place in November. The event saw clients, candidates, friends and family come together to take part in an evening of video horse raising, entertainment and the most exciting raffle I’ve ever witnessed! 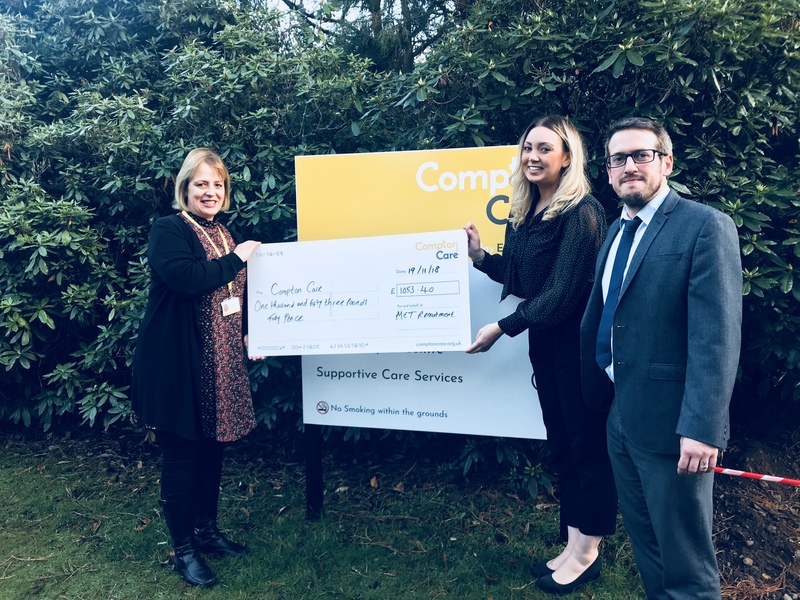 Over a £1000 was raised just from the evening alone and the team were proud to be able to present the cheque to Compton Hospice to help support such a fantastic cause. Our fundraising for Compton Hospice will continue into 2019 with our Industrial Director taking on a Marathon on their behalf. The fundraising didn’t end there though, we also managed to raise a further £400 for collective causes such as Breast Cancer Awareness, Children In Need and the Salvation Army Toy Appeal. Collectively our year-end total was over £2000 which is amazing – thank you to the team for their time, energy and commitment to such great causes and bring on the challenges for 2019! !